No rescue works harder, nor loves the GSD breed more than Carol and her crew of fosters. I am so happy!! Carol chose the perfect dog for me, we all love Cashel very much!! Carol is doing an excellent job for alot of dogs and people, I am truly blessed!! Carol you are an inspiration to so many people. I love your stories and pictures you share of the dogs. They are all precious and I feel like I know each and every dog! "Carol runs a class rescue - All fur-babies are provided the most healthy food, any and all medical care they may need, training, exercise and all the love they so richly deserve." "What a wonderful rescue!!! I love following the stories of all the GSD's that Carol has helped…Jackson, Emmy, etc. She is the angel to all of them. Beautiful photography..."
"This rescue is about the dogs, doing right by them and for them ....continue the great work......."
"The job is full time. 24/7 and looking at all the responses and the Thank Yous. It gets done. 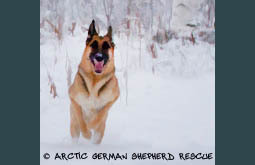 Thank You for your tireless work for the GSD BREED and that they are placed in a loving home." "I am very happy to see we have a rescue company for these beautiful animals in the interior. Thank you guys." "Visited AGSR, beautiful, well taken care of and devoted owner. Carol is the BEST!" "Dog Bless and God Bless Carol for all she does ♥ ♥ ♥"
"It is obvious that you care and that it isn't about making money! Thank you for making a difference!" "Thank you so much for the Thor updates. He looks so happy and healthy." "Love the updates on all the babies... they have such wonderful personalities and you can tell how loved they are." "God bless carol for all that she does for these pups." "I love all the pictures and updates. And how much everyone here loves their fur babies. I love all the stories and I wish I lives closer so I could come for a visit. Seems like such a wonderful place to be a german shepherd"